Both the Fire TV and Fire TV Stick are supported, with Chromecast coming soon. 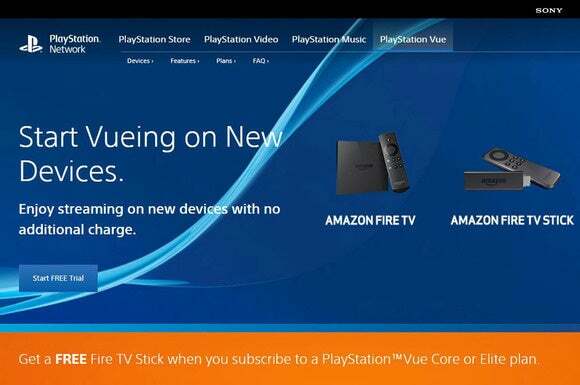 You don’t need a PlayStation to use Sony’s PlayStation Vue TV service anymore, thanks to new compatibility with Amazon’s Fire TV and Fire TV Stick. Amazon’s set-top devices are only the second non-PlayStation devices to support Vue. Sony added support for iPad and iPhone in June, and plans to offer support for Google’s Chromecast in the coming months. 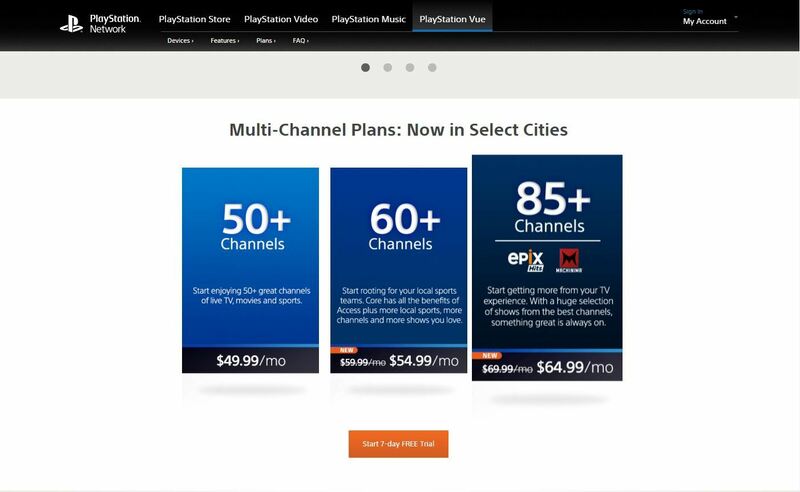 Sony also dropped the price of its Core and Elite packages by $5, with the Core service (60 channels) now priced at $55 and the Elite service (85 channels) at $65. These new prices are available to both new subscribers and old, who will see the price drop in their next bill. 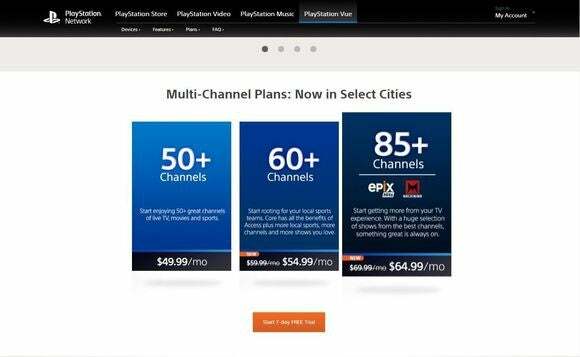 Sony's PlayStation Vue over-the-top pay-TV service leans heavily on channel bundles just like cable and satellite-TV services. On the bright side, there are no hidden service or equipment-rental fees. New customers will want to sign up quick: those who sign up for either of the above plans between November 15 and December 15 are eligible to receive a free Amazon Fire TV Stick, the company says. The baseline Access service (50 channels) will remain at $50 per month, but new subscribers at that level don't qualify for the free hardware. The story behind the story: Sony is clearly positioning itself to compete with the variety of streaming television services flooding the market. What’s not is clear how much of a success Vue really is. 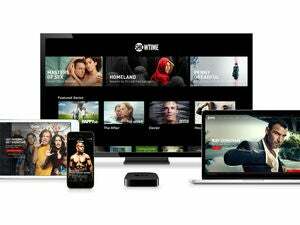 The company has yet to disclose any subscriber numbers, and it has stayed fairly silent on where it sees the service going. The further expansion of Vue beyond Sony devices could signal an admission that the PlayStation platform alone isn’t enough to make Vue viable. Besides the addition of Amazon’s FireTV and the price change, the rest of the service remains unchanged. As we wrote last June, you’ll still be limited to choosing from just three a la carte channels—Showtime, Fox Soccer Plus, and Machinima—unless you live in one of Vue’s service areas: Chicago, Dallas, Los Angeles, Miami, New York City, Philadelphia, and the San Francisco Bay Area. If you do live in one of those regions and want more choices, you’ll need to buy one of the three channel bundles listed above. Sony had promised nationwide availability by the end of the year, but it looks as though the company will miss that target. Supporting more devices probably won’t make a huge difference in Vue’s growth rate. Sony needs to make its full service available to more customers.